Harvard Business Publishing provides a range of simulations geared to the academic community. 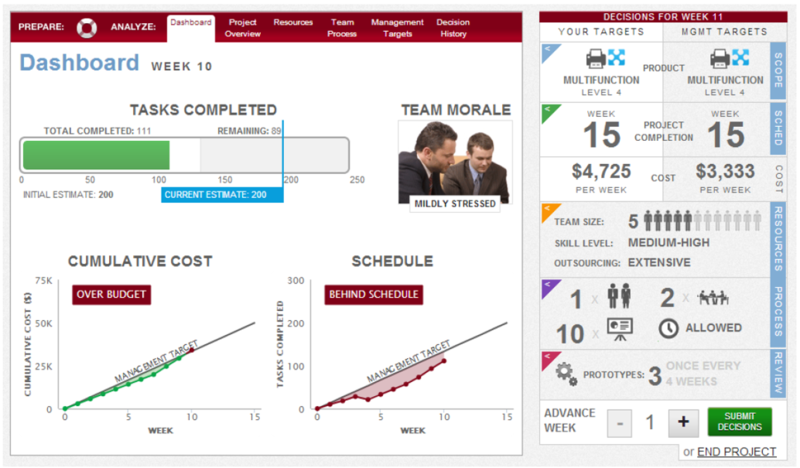 These simulations use real-world contexts to reinforce student learning in Entrepreneurship, Finance, Marketing, Negotiation, Operations Management, Organisational Behavior and Strategy (see https://cb.hbsp.harvard.edu/cbmp/pages/content/simulations for details on each). Act Knowledge facilitators have delivered Harvard’s Project Management and Supply Chain Management simulations as part of the MBAx Program at the UNSW Business School since 2011.